The increasing disease burden caused by atrial fibrillation has led to new interventions aimed at restoring normal sinus rhythm and preventing embolic complications. Cardiac CT can help identify suitable candidates, plan the intervention, and diagnose complications. 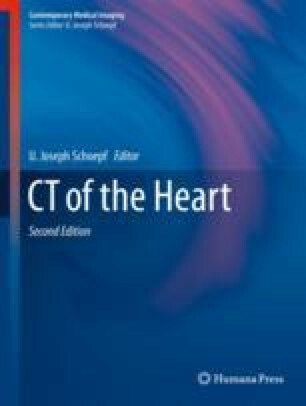 In some institutions, this application has become the most common indication for the clinical use of cardiac CT. Consequently, expertise in making the pertinent observations outlined in this chapter is of critical importance for the success of any cardiac CT program and offers a tremendous opportunity for interdisciplinary collaboration.